1993 yılında Van’da doğdu. İlk ve Ortaöğretimi Van’da tamamladıktan sonra Boğaziçi Üniversitesi Sosyoloji Bölümünden mezun oldu. 2014’te başladığı İSAR programını 2018 yılında tamamladı. Dil eğitimi için İngiltere ve Ürdün’de bulundu. 2018 yılında İSAR Araştırmacısı olarak göreve başladı. İSAR İhtisas Programı ve Boğaziçi Üniversitesi Atatürk Enstitüsü yüksek lisans programında eğitimine devam etmektedir. Ekonomi lisans eğitimini Marmara Üniversitesi'nde tamamladı. (2013) Aynı üniversitede İktisat Tarihi yüksek lisans derecesi aldı. 2017 Yılında araştırma için Cambridge Üniversitesi'ne gitti, akabinde ziyaretçi araştırmacı olarak Durham Üniversitesi'nde kaldı. 2018 yılı itibariyle İSAR Araştırmacısı olarak göreve başladı. İSAR Uluslarası Ofis Sorumlusu ve İSAR İngilizce Koordinatörü olarak görev yapmaktadır. 2012 yılında başladığı İSAR temel programından 2017'de mezun oldu, ihtisas öğrencisi olarak eğitimine devam etmektedir. He was born in Istanbul in 1993. 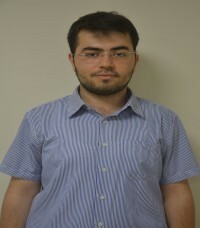 In 2017, he graduated from the Department of Computer Engineering at Istanbul Şehir University. 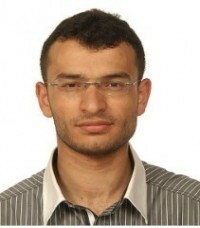 He is currently an MA student in Data Engineering at Istanbul Şehir University. 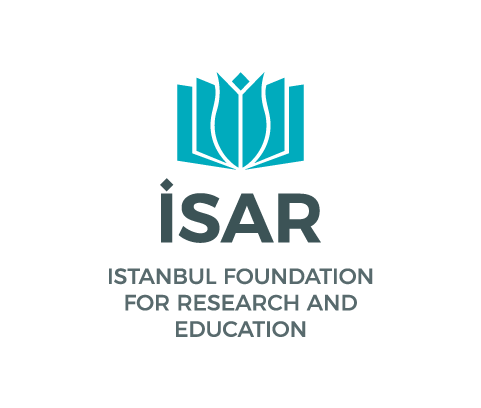 It has been a student of İSAR foundation since 2012. He completed the 4-year basic education program and currently continues the Specialization Program at İSAR. Since September 2017, he has been working as an İSAR researcher. Among Elhan's interests are data engineering, philosophy of language, classical Arabic and instrumental Islamic sciences. He was born in Erzurum in 1994. He completed his secondary education in Beyoğlu Anadolu İmam Hatip High School. 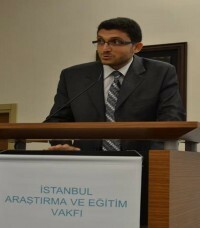 He started undergraduate education in the Faculty of Theology of Istanbul University, where he is continuing his graduate studies on Islamic Law. He started ISAR in 2014 and graduated in the summer of 2017. In the same year, he began working as an ISAR researcher. Sağlam speaks English and Arabic. He was born in Çumra, Konya in 1994. He attended Meram Fen High School between the years 2008-2012. He received his BA degree from the Economics Department at Boğaziçi University in 2017. He has been to England in the summer of 2013 and in Jordan in the summer of 2015 for foreign language training. During Spring 2016, he studied at Erasmus University in Rotterdam as part of Erasmus Exchange Program. Between 2013-2017, he studied in the ISAR Basic Program. He is currently a student of the ISAR Specialization Program and continues his graduate studies in the Economics Department of Boğaziçi University. He was born in Istanbul in 1993. 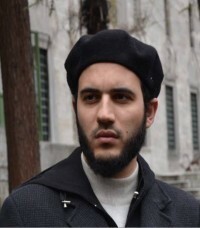 After completing his secondary education at Hüseyin Avni Sözen Anadolu High School, he attended the Economics Department of Boğaziçi University as a BA student in 2012. He completed his undergraduate education in 2017 with double majors in the Economics Political Science & International Relations. He is currently studying at the Department of Economics at Boğaziçi University Institute of Social Sciences. Mustafa Runyun has successfully completed the ISAR Basic Program composed of seminars in Arabic language, classical Islamic sciences, modern and traditional Islamic thought. He started this program in 2009 and graduated in 2015. He is currently a student of the ISAR Specialization Program. He has been also working as a researcher at ISAR Foundation since September 2017. Runyun speaks English and Arabic. Runyun's academic interests include macroeconomics, history of economics, demography, statistical methods, institutionalism and political economy. He was born in Burdur, Gölhisar in 1994. He took secondary education in Isparta Süleyman Demirel Fen High School and Denizli Anadolu High School. In 2012, he began studying Political Science & International Relations at Boğaziçi University. In 2014, he was also admitted to the double major program with the Department of History. In the summer of 2015, he has been to Jordan for language training. In the 2015-2016 Academic Year, he studied at the University of Warwick in England as part of the Erasmus Exchange Program. Erbil started ISAR in 2013 and graduated from İSAR Basic Program in the summer of 2017. In the same year, he started to work as an ISAR researcher. He is currently attending Specialization courses at ISAR. Erbil speaks in English, Arabic and has a basic knowledge of Persian language. He was born in 1992 in Nevşehir. He completed his secondary education in Üsküdar Anadolu Imam-Hatip High School. In 2016, he graduated from Fatih Sultan Mehmet Vakıf University Faculty of Islamic Sciences. In the same year, he started master’s program in Kalam department at 29 Mayıs University. He started studying ISAR Specialization Program after completing the 4-year ISAR Basic Program, which he had enrolled in 2012. He has been to Saudi Arabia and Jordan for Arabic language education. Currently, Öztürk is studying English as part of the ISAR program. He was born in Kayseri, Yahyalı in 1993. He completed his primary education in Sivas and secondary education in Kırşehir Anadolu Imam Hatip High School (2011). He graduated from the Faculty of Islamic and Religious Sciences at Istanbul 29 Mayıs University (2016). In the same year, he started master's program in the Department of Philosophy and Religious Sciences at Istanbul University. He served as editor in chief for "Tereke Edebi Hareket" magazine. Gökbel has been to Jordan (2012, 2014) and Egypt (2013) for language training. He participated in seminars in Münster (Germany) in 2016. After graduating in 2016 from the ISAR Foundation, where he began studying in 2013, he became an ISAR Researcher in December. He is currently continuing Specialization Program at ISAR and teaches Islamic sciences and Ottoman Turkish courses at the LISAR Academy. Güler was born in Istanbul in 1991. He started primary education in Gebze, Kocaeli and completed secondary education at Çapa Anadolu Teacher Training High School in Istanbul (2010). He graduated from the Department of Turkish Language and Literature at 29 May University (2014). 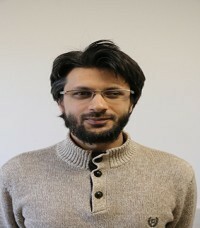 He was entitled to graduate from the same university (2016) with his dissertation on the literary commentary tradition. In 2011, he was awarded in Ergun Göze Article Competition organized by ESKADER. He prepared Tereke Edebi Hareket magazine for the publication and served as the general editorial director. In 2012, he completed the 4-year training program in Istanbul Research and Education Foundation and started to work as an ISAR researcher in September 2016. In the same year, he started Ph.D. study in Turkish Language and Literature at Istanbul Medeniyet University and Specialization Program at the ISAR. His academic interests include literary commentary, classical biography writing, manakıbname genre, balagat, hadith methodology, history of hadith, Arab poetics and history of institutions. Güler is married and has one child. Doğan was born in 1989 in Sivas. He completed his secondary education in Atatürk High School in Sivas and graduated from Galatasaray University Faculty of Communication in 2010. He completed the Political Science (Double Major) and Université Bordeaux-Montaigne (License délocalisé) programs at the same university. He finished the 4-year program of Istanbul Research and Education Foundation and started to work as an ISAR researcher in the same institution in June 2016. Doğan can speak English, French, Arabic, and German. Akkuş was born in Malatya in 1993. He received his secondary education at Beyoğlu Anadolu Imam-Hatip High School. In 2016, he graduated from Marmara University, Department of Political Science and International Relations. In the same year, he started his graduate studies in Political Science and International Relations at Istanbul Şehir University. He started studying at ISAR in 2011 and graduated from ISAR in 2015. Akkuş is currently continuing his education at the specialization level at ISAR. He was born in Manisa in 1983. He graduated from the Physics Department of Bogazici University in 2010. He received an MA degree from the Physics Department of Gebze Technical University in 2015. Mintaş is continuing his Ph.D. study at Gebze Technical University Physics Department. He was born in 1991 in Istanbul. He received his primary education in Ümraniye, Istanbul and completed his secondary education at Haydarpaşa High School. He graduated from Marmara University Faculty of Medicine in 2015, which he had attended in 2009. He started to study at ISAR in 2010 and graduated from the ISAR Basic Program in 2015. Since 2014, he has been a researcher in ISAR and studying the Specialization Program. Sandıkçı currently serves as a physician in Sultanbeyli, İstanbul. 1988'de İstanbul'da doğdu. Ortaöğrenimini Bahçelievler Adnan Menderes Anadolu Lisesi'nde tamamladı. Boğaziçi Üniversitesi Siyaset Bilimi ve Uluslararası İlişkiler bölümünden 2012 yılında mezun oldu. Yüksek lisans eğitimini İstanbul Şehir Üniversitesi Sosyoloji bölümünde sürdürmektedir. İSAR'ın ilk mezun grubu arasındadır. İSAR'da araştırma görevlisi olarak başladığı görevine şu anda akademik koordinatör olarak devam etmektedir. He graduated from Yıldız Technical University Department of Electronics and Communication Engineering (2012). He received his MA from Civilization Studies Program at Fatih Sultan Mehmet Vakıf University in the field of science history in 2014. He continues his Ph.D. in Network Theory at the University of Pennsylvania School of Engineering and Applied Sciences. He has been an İSAR student since 2009. He was among the Foundation's second-year graduates. He received language training in Jordan (2013) and U.S. (2015). He worked as an ISAR researcher between 2013 and 2015. His interests include technology and culture, history of science and technology, network theory and artificial intelligence. Toprak is married and father of two children.